This year’s club championships saw our first ever repeat champion! 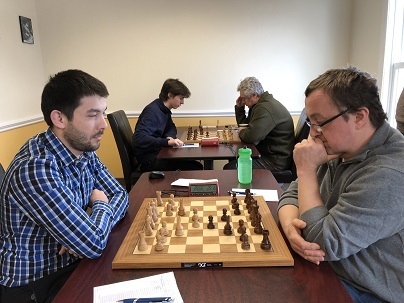 IM Nicolas Checa (despite some exciting and close games) proved to be unstoppable. 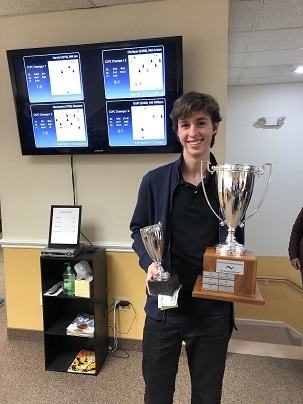 His perfect 4.0/4 score earned him his second CCFC Championship title as well as a $100 bonus for a total of $200 in prize money. 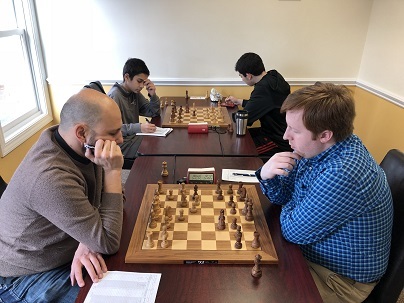 In an amazing performance, Alexander Kupersmith rated 1782 won the $100 prize for the top U2200! 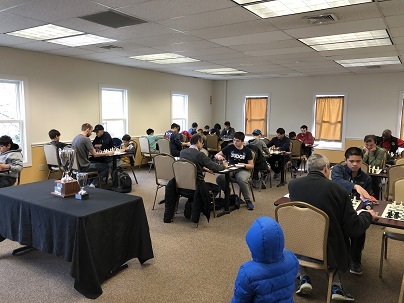 Andrew Dexter, Slav Naumowicz (a perpetual winner at CCFC) and Luis-Joshua Casenas tied for the top U2000 prize and walked away with $34 each. The U1800 section was fiercely contested from start to finish. Once the dust cleared it was CCFC regular Jack Klein who finished in sole first with a perfect 4/4! He netted $200 which include a perfect score bonus of $100 and nearly 60 new rating points. Many players finished close behind, but it was Nielsen Gordon who earned the top U1600 prize of $100 to himself for his 2.5/4 points. 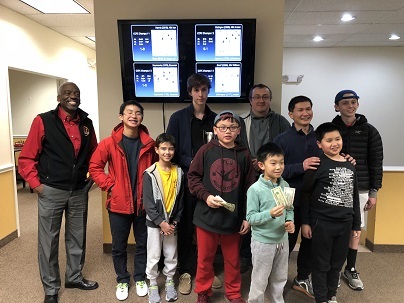 The under 1400 prize was split four ways between Ramesh Abhiraman, Yide Liu, Colin Dean and Cary Wang. Each player scored 2/4 and earned $25 for their efforts. Thank you to all of this year’s participants and congratulations to all of our deserving champions!